In a closely watched decision, the Supreme Court of Newfoundland and Labrador (the court) recently upheld an arbitration decision that endorsed an employer’s decision to refuse employment on the basis of an individual’s medical cannabis use. In International Brotherhood Lower Churchill Transmission Construction Employers’ Assn. Inc. v. IBEW, Local 1620 (Tizzard), Re, arbitrator John Roil, Q.C., addressed the duty to accommodate medically authorized cannabis to treat a disability, finding that the employer was unable to accommodate, to the point of undue hardship. The union applied to the court for judicial review. Scott Tizzard (the grievor) applied for a position with Valard Construction LP, a contractor at the Lower Churchill Project (the project). In accordance with a Special Project Order made pursuant to the Labour Relations Act (Newfoundland and Labrador), the Lower Churchill Transmission Construction Employers’ Association Inc. and International Brotherhood of Electrical Workers, Local 1620 were designated as the sole and exclusive bargaining agents for contractors and workers respectively, engaged in the construction of the project. A Special Project collective agreement was also in place between the employer and the union. The grievor had been prescribed cannabis to manage pain due to Crohn’s disease and osteoarthritis; other medication had been tried in the past but had not been effective. He consumed marijuana each evening after work (20 per cent THC level, later increased to 22 per cent), using approximately 1.5 grams through vaporization. The grievor was successful in obtaining a position with Valard at the project, as a labourer, subject to passing the requisite drug and alcohol test, as was the case for all project employees. At this time, Valard was informed of the grievor’s medically authorized cannabis use. 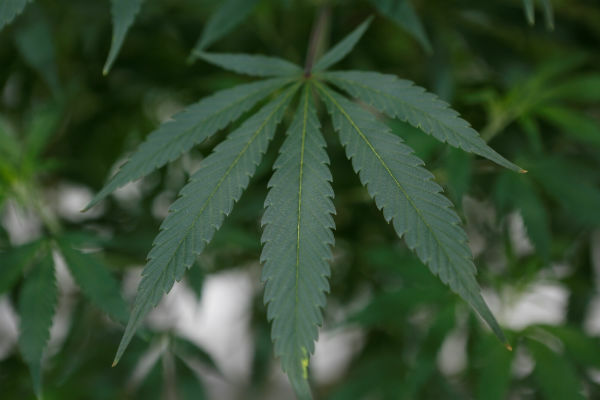 Following the grievor’s disclosure of his medical cannabis authorization, a series of communications took place between the parties over a few months and focused on medical information and the duration of impairment experienced by the grievor (such as his ability to work safely), following his evening medical cannabis use. The grievor later applied for another position with Valard but was unsuccessful. The evidence presented at arbitration indicated that he had been “red flagged” due to his medical cannabis use which prevented him from working for any contractor at the project. Of interest, the grievor had previously worked on the project for another contractor at the Soldier’s Pond Station, without incident. The grievor had disclosed his medical cannabis use to his prior contractor at that time. The grievor provided medical information to the employer which indicated that he could work safely after four hours of consuming cannabis. In response, the employer then obtained its own medical opinion. At arbitration, the employer also relied upon professional guidance documents from the College of Family Physicians of Canada, Health Canada and the NL College of Physicians and Surgeons which pointed to longer impairment times than four hours. The employer took the position that it was possible that the effects of impairment of the grievor’s cannabis use (based on the THC potency and dosage), could last for up to 24 hours. Arbitrator Roil found that there was a lack of reliable resources (at least in Newfoundland and Labrador) to allow an employer to accurately measure impairment. He found that the medical cannabis use created a risk of the grievor’s impairment on the job site. On the facts of the case before him, Arbitrator Roil held that while not perfect, the employer carried out the necessary individual assessment of accommodation possibilities. The inability to measure and manage risk of harm constituted undue hardship for the employer. The grievance was therefore dismissed. In its judicial review Application, the union argued that Arbitrator Roil’s decision was unreasonable. The Court disagreed and dismissed the union’s application. Before Justice Daniel M. Boone, the employer conceded that the grievor suffered from a disability, protected under the Human Rights Act, 2010 (Newfoundland and Labrador) and further agreed that the sole reason why the grievor was denied employment was on the basis of his medical cannabis use, in particular, the risk of residual impairment following said use. While this amounted to a prima facie case of discrimination, prohibited by human rights legislation, the facts of this case supported a finding that to accommodate the grievor by allowing him to work in the safety-sensitive position, would amount to undue hardship on the part of the employer. The risk of impairment in this case could not be alleviated by a reliable measure of impairment. Justice Boone held that Arbitrator Roil properly considered the issues before him on the basis of expert and other evidence adduced by the parties. Ultimately, Justice Boone found that the evidence supported the arbitrator’s conclusions and analysis, adding that the decision was not based on stigma or stereotypes attached to cannabis users, as alleged by the union. The arbitration decision was reasonable and the union’s application for judicial review was therefore dismissed. At this time, it is unclear if the union will further appeal to the Newfoundland and Labrador Court of Appeal. Disclosure of medically authorized cannabis use does not give an employer an automatic license to refuse to hire or to terminate an employee. While allowing a person to work while impaired is prohibited by occupational health and safety legislation, employers are required to obtain appropriate medical information, including the dosage, dosage frequency and potency of the medical cannabis consumed, in order to conduct an individual assessment of the employee’s ability to work safely in the particular work environment. Where medical evidence confirms that the effects of medical cannabis use could linger, it may amount to undue hardship for an employer to risk putting such an employee to work. Employers should consider however, that what amounts to undue hardship in a safety-sensitive position on a megaproject, as was at issue in this case, may not amount to undue hardship in a non-safety sensitive position and/or a different work environment. International Brotherhood Lower Churchill Transmission Construction Employers’ Assn. Inc. v. IBEW, Local 1620 (Tizzard), Re, 2018 CarswellNfld 198 (N.L. S.C.). Ashley Savinov is an associate with Cox & Palmer in St. John's, practicing employment & labour law, commercial litigation, corporate commercial law, administrative, law, and mergers & acquisitions. She can be reached at (709) 570-5588 or ASavinov@coxandpalmer.com.